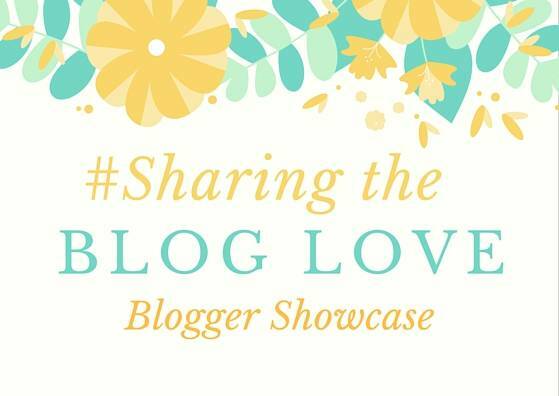 Welcome to our 9th weekly #SharingtheBlogLove Blogger Showcase. The weeks are flying by at the moment and I can’t believe we are at week 9. Katy and I both love reading all the posts that you lovely people link up and its great to have such a variety. If you are new to these posts, they are a selection of our favourite posts from last week’s #SharingtheBlogLove Linky. Here are my favourite posts from last week…My first two choices have a bit of a theme. Since I became a mummy four years ago, so much of me has changed or completely disappeared. I have noticed it even more since having Holly two years ago and when I read this post ‘Things I never thought I’d do‘, I found myself nodding along in agreement to every aspect. All those things I thought I would never do as a mummy and on the other side all the things I thought I would do as a mummy. Such an honest post and one I could totally relate to. How has parenthood changed you? I first knew about this post when Geraldine asked me for my thoughts to include in her post. When I read the post I just loved it. I loved reading what all the other mum’s had said and how it changed differently for everyone. But what is interesting is that it did change for everyone. The minute I saw the title ‘ Chocolate Sprinkle Ice Cream Bowls‘, I knew this was going to be right up my street. What I wasn’t expecting was to laugh out loud as poor Lindsay battled her way through the steps to get the perfect bowl. My favourite bit of all, is the fun that her girls had doing it. Because at the end of the day that is all that matters when baking with your children. I think they look amazing, what do you think? I can’t imagine what it must be like to be in a new city and having to find new friends. But, this is what Tooting Mama has had to do since moving to Paris. In this post ‘Midlife making friends: How to make friends in your forties’, she shares with us all the different ways she has tried to find that person that she can call a friend and I am pleased it ends happily. I am not sure I would be as brave as her and I really admire people that can uproot and find their feet and make new friends somewhere new. I hope you enjoy reading these as much as I did and if you didn’t get chance to read them last week, why not pop over and show them some love. I missed being part of #SharingTheBlogLove last week! So I’m glad to be back again! Thank you for hosting! Thank you for choosing me this week – feel so honoured! It’s been a case of putting yourself out there to find friends but like you said – it has ended happily and I now have a lovely bunch of mummy friends here in Paris! Thanks again, and ready to get #SharingtheBlogLove! Some more great blogs to add to my ever growing list! Oh wow thanks for mentioning me & you’re right it was a lot of fun despite I still find random spots of chocolate even now! I love the concept of this link, so much blogger love. “Things I never thought i’d do” really hit the nail on the head, I agreed with every single one. I loved every single one of these – we always get such a great selection of posts to choose from! This weeks is looking great too! Thanks for another great week! I loved Tooting Mama’s post about making friends!